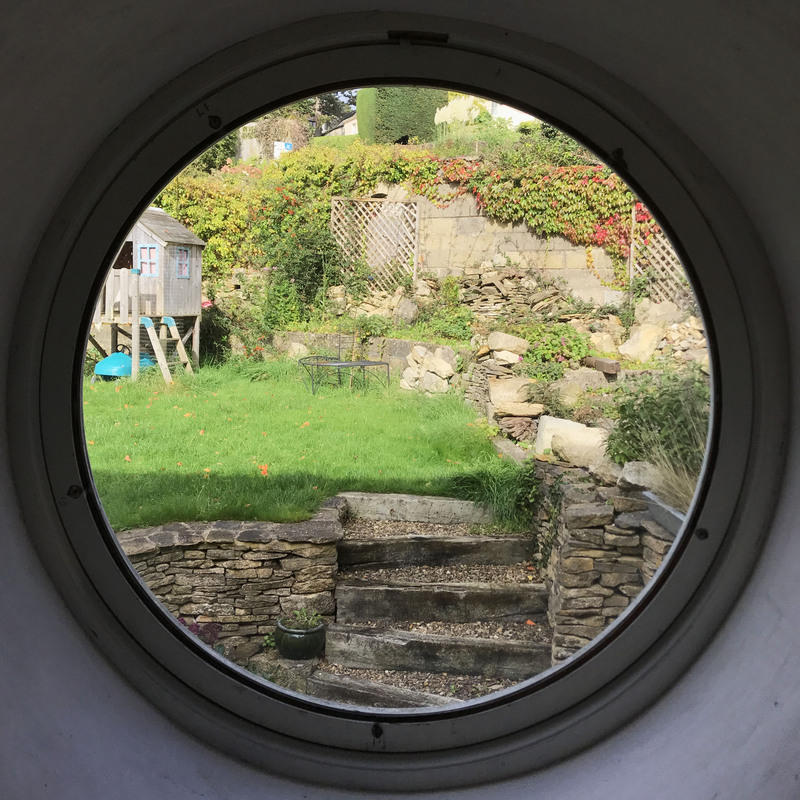 A fabulous Airbnb experience almost always boils down to booking the right Airbnb upfront. Since Airbnbs vary so widely, finding the right fit definitely takes longer than booking the local Holiday Inn Express. But investing the time is absolutely worth the excitement you’ll feel on check-in day. 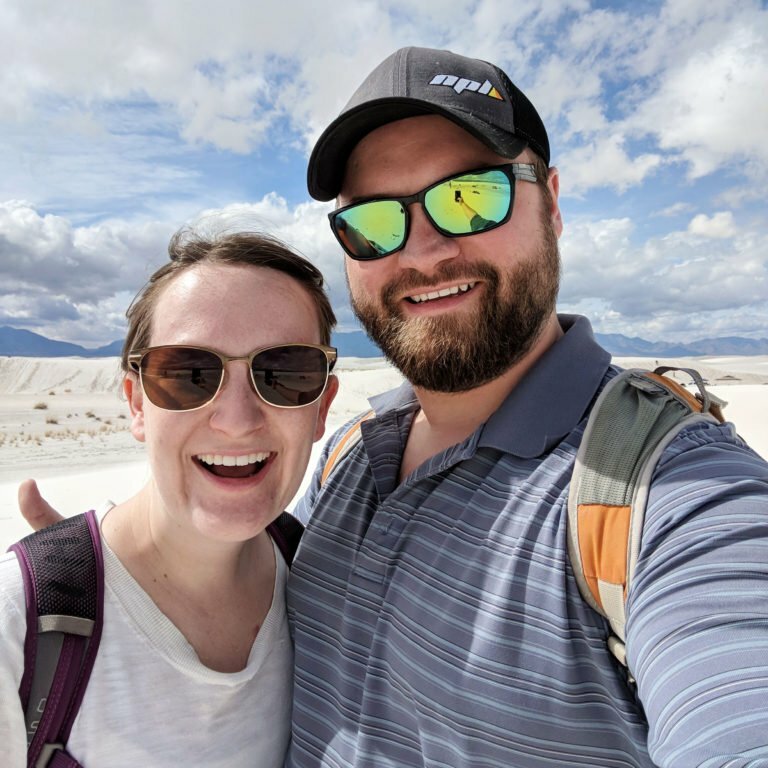 This post gives you an inside look at the steps we use each time we book an Airbnb as full-time travelers. 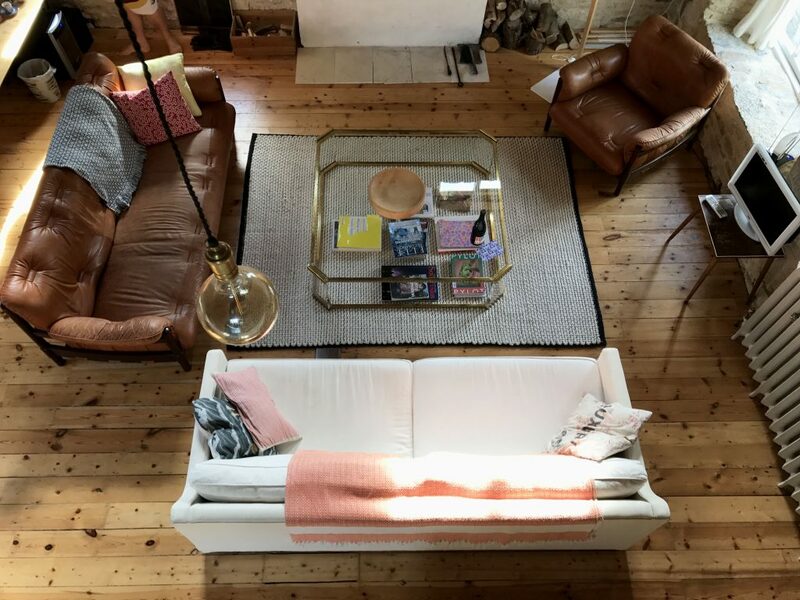 Whether you’re a guest who’s racked up only mediocre experiences or you’ve just learned what Airbnb actually is and are ready to book your inaugural stay, these steps will help you find the perfect Airbnb. 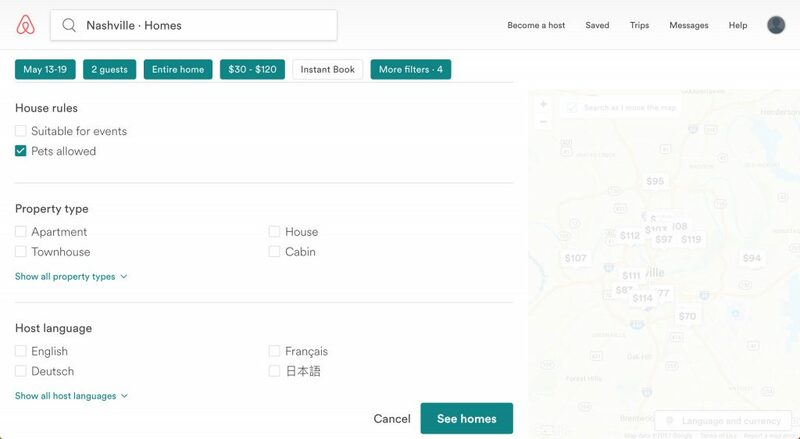 Go to Airbnb.com, click on Homes, and type your travel location in the search box. You’ll see a bunch of Airbnbs on the left and the corresponding map locations on the right. 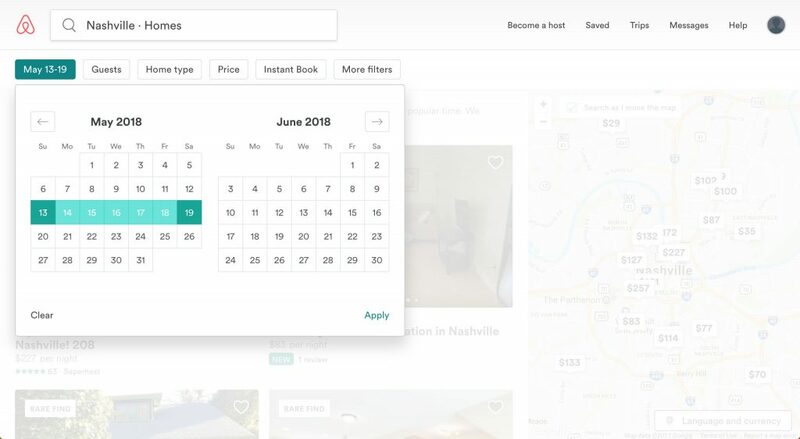 Now before you fall in love with a bunch of places that don’t line up with what you actually need, let’s set the six filters at the top: Dates, Guests, Home Types, Price, Instant Book, and More Filters. The first filter is your date range. 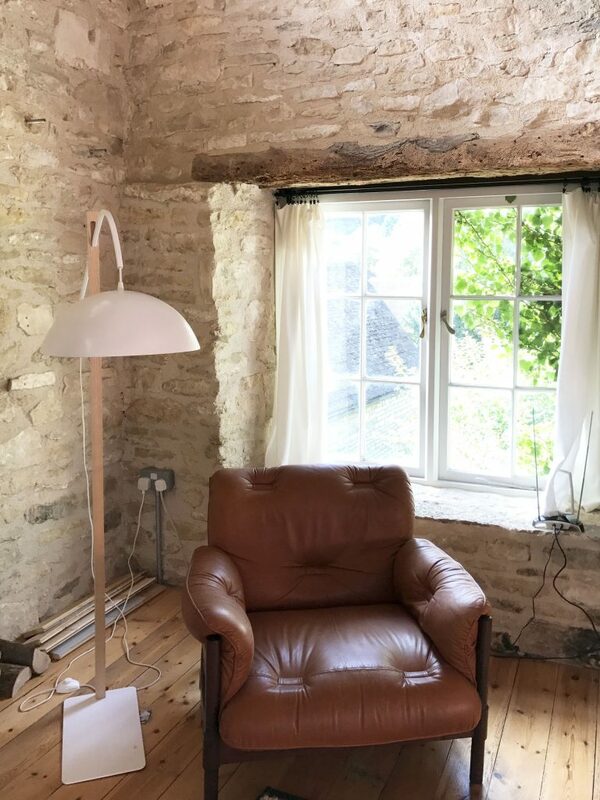 We’ve learned the hard way that if you wait too long to book your Airbnb, pickings either get slim or disappear altogether. Since our goal is to book the perfect Airbnb, we’re looking for as many options as possible. Give yourself six to eight weeks if you’re looking to book a few consecutive days. If you’re booking a longer stay, like a full month, start planning about three months out. 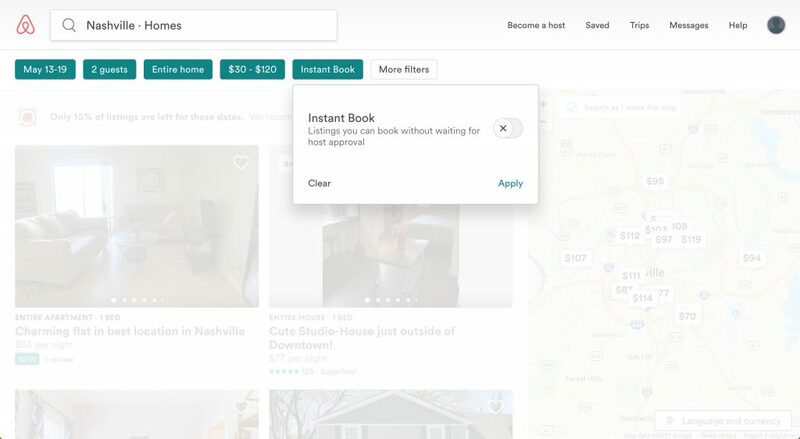 Of course, if you need a place tonight, turn on the Instant Book filter to narrow down your options to Airbnbs that can be booked immediately. The real question here is privacy. Do you want to share a room with other travelers? Do you want a private room in a shared home? Or do you want complete privacy with a space that’s entirely your own? Our expertise is in this last option: entire place. Between the dog and the two of us, we’re looking for a space that’s just for us. It’s so easy to get swept up in the “well it’s less than a hotel would be” train of thought. But there are Airbnbs in every price range, so set your budget upfront and stick to it. Be honest here. It’s so easy to get swept up in the “well it’s less than a hotel would be” train of thought. But there are Airbnbs in every price range, so set your budget upfront and stick to it. It’s definitely more gratifying to book an incredible place that won’t break the bank. Also, the website will take into account any weekly and monthly discounts a host offers. These discounts can be huge. We’ve had month-long stays that are 50% off! As you set the additional parameters in the More Filters area, ask yourself what the make or break amenities are. 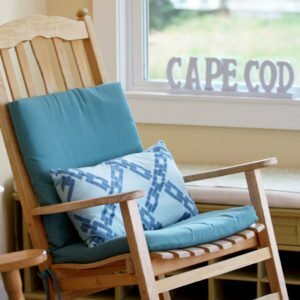 Do you need a place that’s kid friendly? 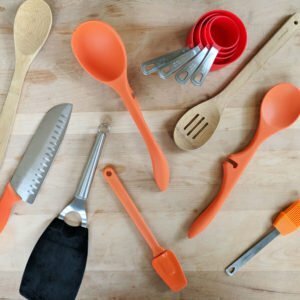 Will you be doing a lot of cooking? For us, pets have to be allowed, we need wifi, and for month-long stays, we really like having a washer and dryer. Beyond that, we try to leave the rest of the amenities as open-ended as possible so we don’t accidentally filter out a great spot. 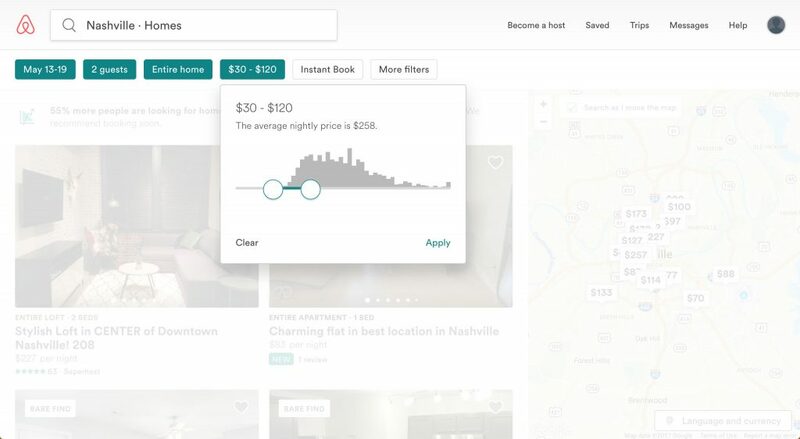 Since you can’t filter the homes by their ratings or the number of reviews, turning on the Superhost filter is one of the fastest ways to pull the very best airbnbs to the top of the list. If you’re looking for a truly fantastic stay, turn on the Superhost toggle. 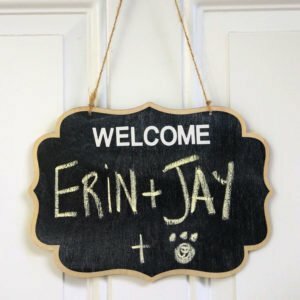 Superhosts are folks who have set themselves apart as exemplary and unique hosts in the Airbnb community. 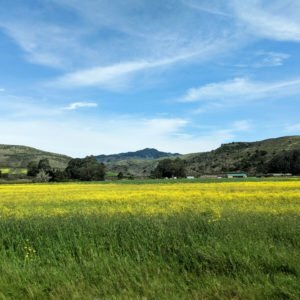 We’ve absolutely had great stays with hosts that aren’t Superhosts (yet!). 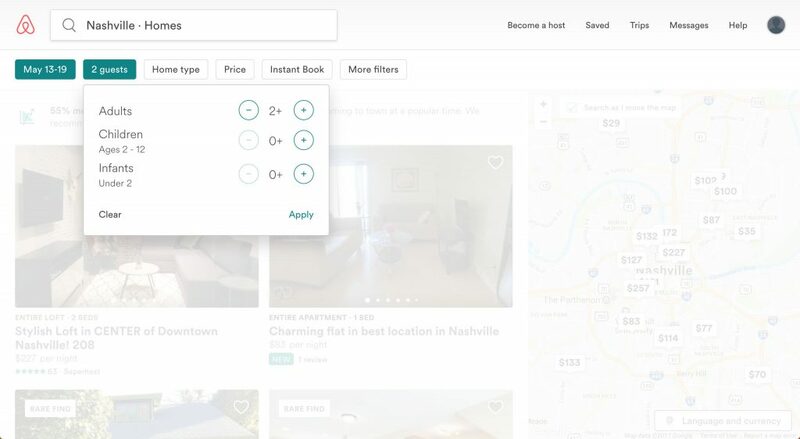 But since you can’t filter the homes by their ratings or the number of reviews, turning on the Superhost filter is one of the fastest ways to pull the very best airbnbs to the top of the list. Now that you’ve narrowed down all the Airbnbs to just those that fit your needs, it’s time for the first pass. The goal here is to pull out the places that interest you the most without disappearing for two hours down the Airbnb rabbit hole. 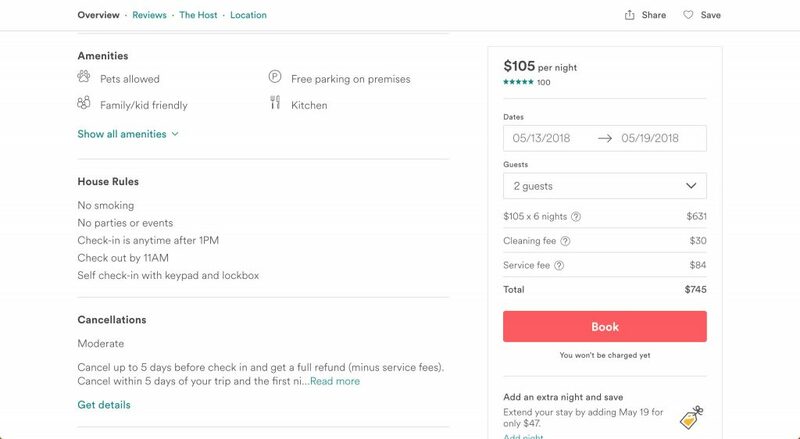 We’ll open up pages for the individual Airbnb postings in the second pass, but for now, just review the information on the cards. There’s plenty of information here to make cuts. 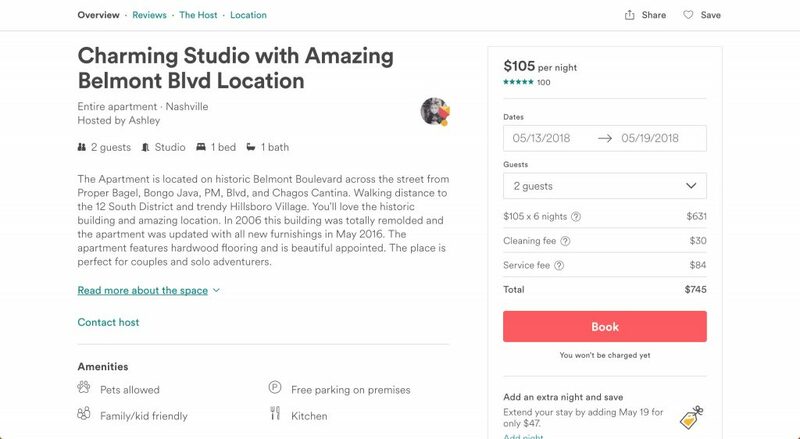 You’ll see the type of Airbnb, the number of beds, the name of the Airbnb, its nightly price, its average rating, and the number of reviews. Plus, you can click through all of the pictures here too without ever leaving this search page. Use the rules of thumb below, and when you find a place that’s passed these tests, right click and open the listing in a new tab. This may sound stringent, but there’s a good reason for it. 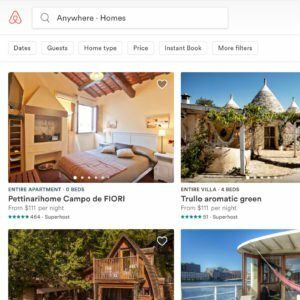 Airbnb reviews are consistently inflated, which means most of the review information is sitting somewhere between four and five stars. Fight the urge to open up a 4.5 star place. We’ve caved before and were kicking ourselves later. 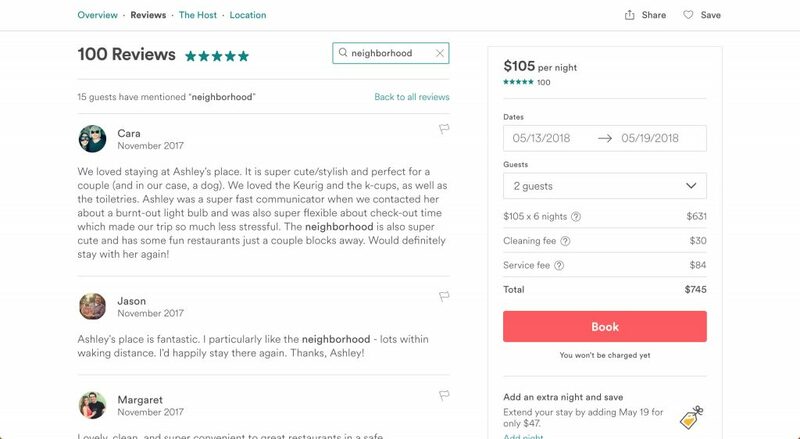 Airbnb reviews are consistently inflated, which means most of the review information is sitting somewhere between four and five stars. Once you see those five stars, see how many folks are behind that rating. Just like Amazon, the more reviews the better. We’re usually looking for something above 30. If you’re seeing a Superhost with a surprisingly small number of reviews, dig a little deeper and click on the host’s profile. Usually they’ve got another property or two that’s earned them the Superhost status. 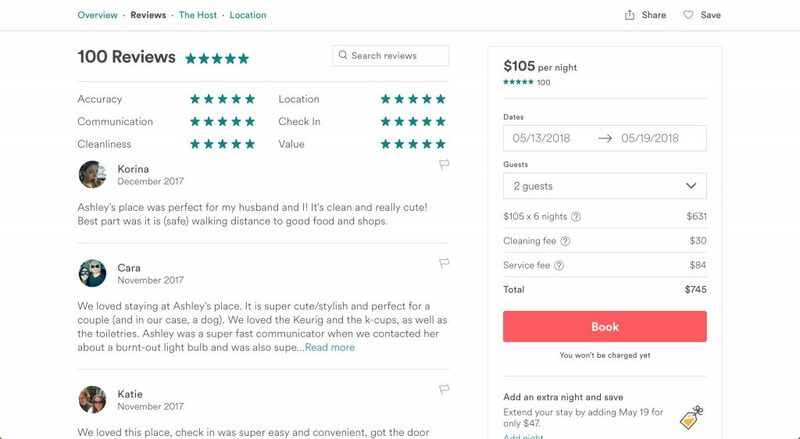 You can check out the number of reviews they have for all their Airbnbs and what their total average rating works out to be. 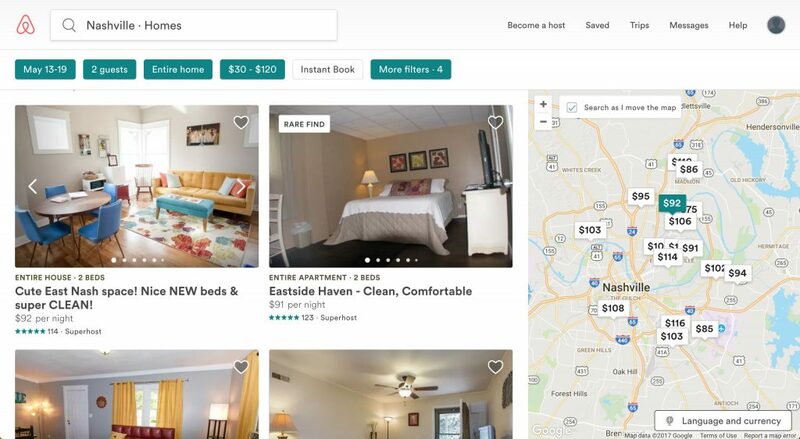 When you find a 5-star place with lots of social proof, it’s time to check out the pictures. As you thumb through the images, notice your visceral reaction. Are you feeling, “Yes! I want to be there right now!” Or are you thinking, “well, I guess I could make that work”. Only open up listings for the places you’re truly excited about. 9 times out of 10, our reactions to the online pictures match our reactions when we walk in the door. Now it’s time to get picky! Often there are tell-tale signs in the Airbnb’s posting that will help you sidestep any mediocre place that slipped through the first pass. 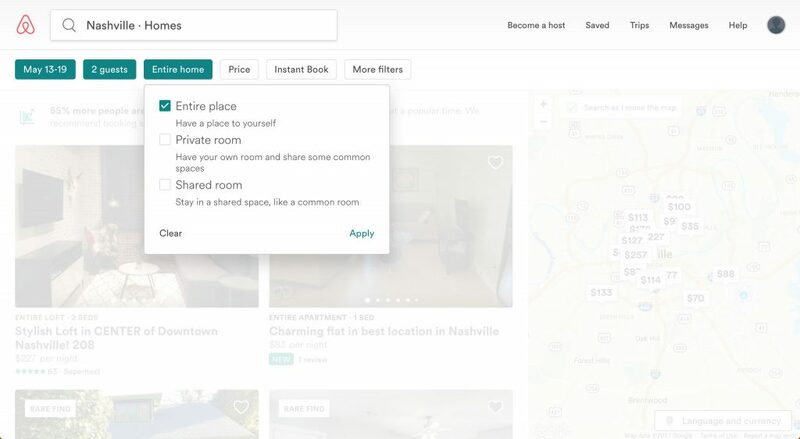 With all of your Airbnb contenders open in new tabs, use these final steps to whittle down the options. Before you look at anything else in an Airbnb’s listing, scroll down to the reviews and see how the star ratings break down by the six subcategories: Accuracy, Communication, Cleanliness, Location, Check In, and Value. We’d love five stars across the board here, but we’ll be more lenient about location or value whereas we won’t with accuracy and cleanliness. We want a host who’s honest and a home that’s squeaky clean. If the reviews aren’t up to par, close that tab. 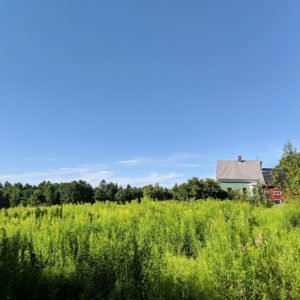 If the reviews look great, go back up to the top, click on read more about this space, and look over the full description. See any red flags? Does the host’s tone seem like a good fit for you? Make sure you scroll through the Amenities, House Rules, Cancellation Policy, and the Host’s information. Make sure the host has a high response rate. 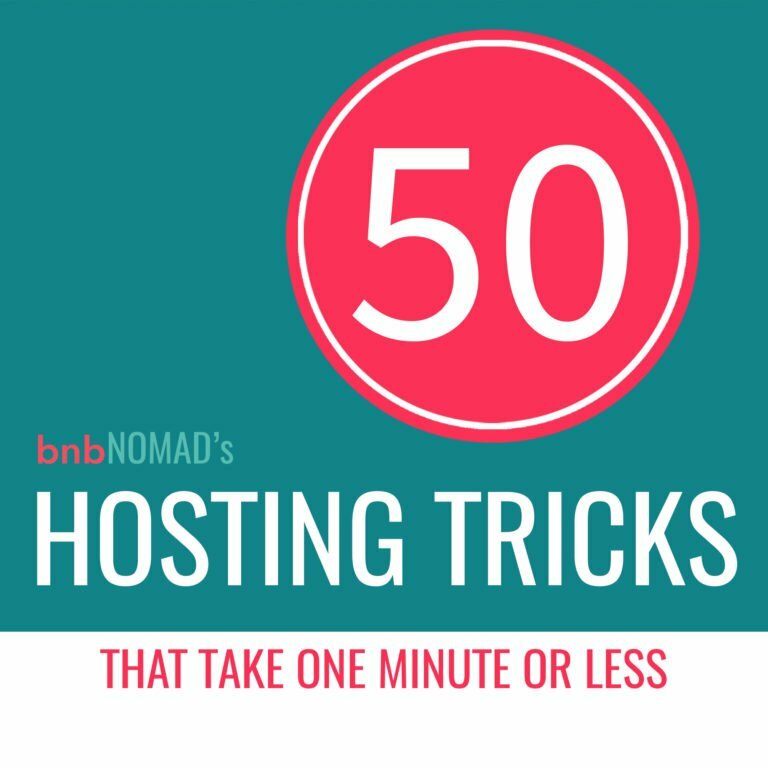 Most Superhosts are sitting right around 100%, often responding within an hour or two. If you finish reading and you’re even more excited than you were before, you’re on the right track! Is it safe? Is it fun? Great hosts will often have additional details in the Neighborhood section. 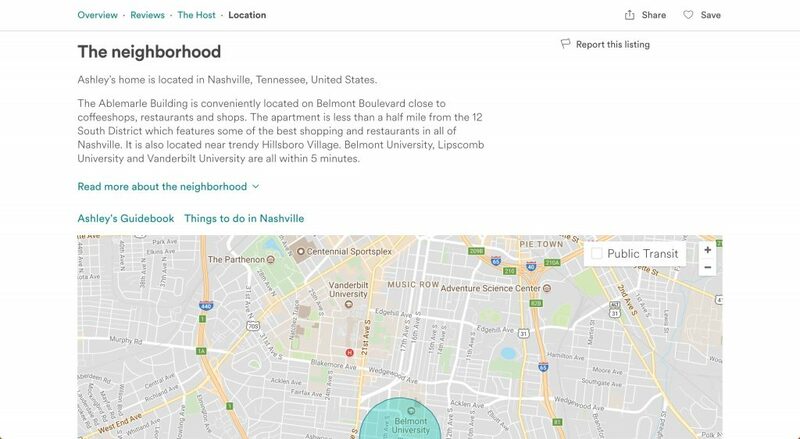 Another quick trick is to search for the word neighborhood in the comments. Just like you’d do when you book a hotel, check out the neighborhood around the Airbnb. Is it safe? Is it fun? Keep in mind whether you’ll need public transportation or have a dog to walk. Great hosts will often have additional details in the Neighborhood section. Another quick trick is to search for the word neighborhood in the comments. Ok, if there are 200 reviews, maybe don’t read all of them. But if you’ve got less than 50, buckle down and read up. Even when guests are too generous with their stars, their written reviews often contain the truly helpful information. The longer and more enthusiastic the review, the better! We’re looking for raves. If you finish the comments and are starting to worry someone else will send a reservation request in before you do, you’ve found the right place! One last step. Even when guests are too generous with their stars, their written reviews often contain the truly helpful information. The longer and more enthusiastic the review, the better! We’re looking for raves. After reading the description and all those comments, the photos will look different to you. Skim through the photos one last time and make sure the photos pull you in just as much as they did during the first pass. 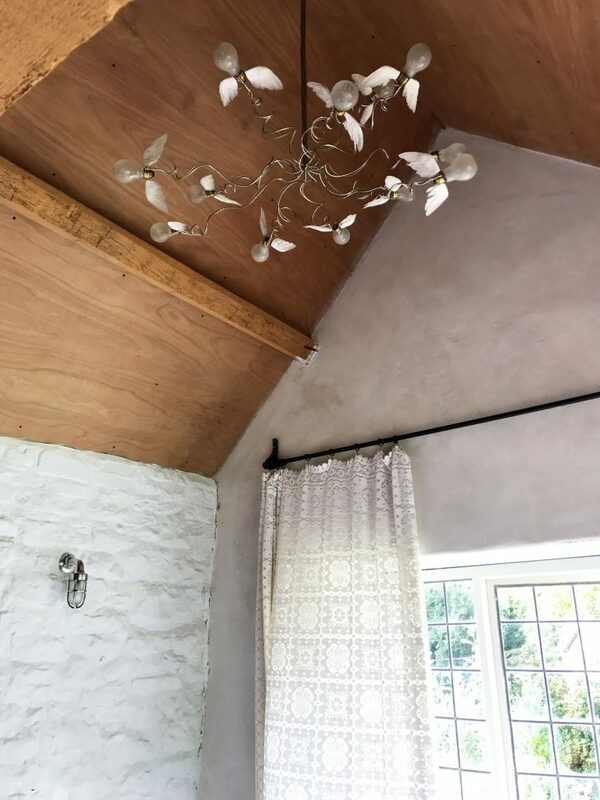 Check out the captions and keep an eye out for anything specific you want to make sure the space has, like an oven or a good laptop workspace. If everything looks fabulous, it’s time to book. If multiple Airbnbs have made it through to this final step, look through the pictures and go with your gut. Book the place you’d most want to walk into right now. Congrats on finding your perfect Airbnb! Just two more steps to consider to make sure you’re stay goes wonderfully. Let’s get the communication with the host off on the right foot. Most folks won’t need this step, but remember that if you still have one or two lingering questions before you’re ready to book, you can always contact the host. If we’re booking a place for a month, we’ll often reach out to the host and ask for their internet speeds just to make sure we won’t have any glitches with our work. Save these inquiries for important stuff, but don’t hesitate to reach out. Hosts can see when you’re considering booking, and are almost always eager to help. And if they’re not, that’s good information to have too! When you make your reservation, you also send your first message to the host. Share a bit about yourself! Include details that you would like the host to know about your traveling situation. 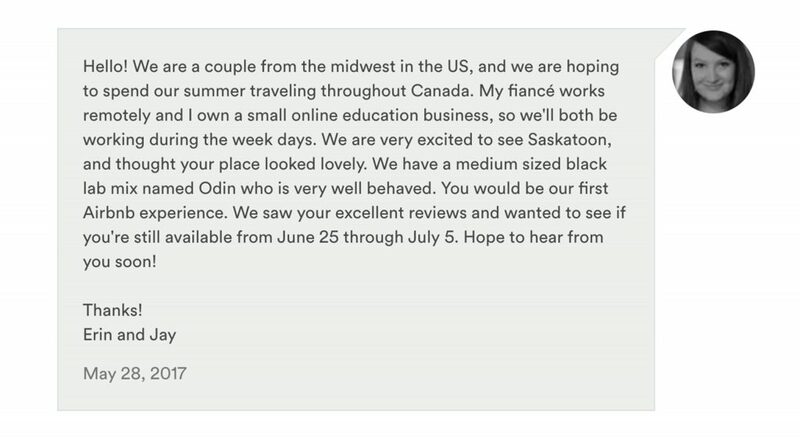 For example, we always add a note about our dog Odin and mention that we work remotely. Let the host know if this is your first Airbnb experience. These little personal details will set your host up to make sure everything is ready to go for your trip. If you’re a hotel whiz, this might look like a lot of effort just to book a place to stay. But we’ve found that while staying in a hotel is simpler, the additional time invested in selecting the perfect Airbnb yields huge rewards. Plus, unlike your typical hotel, staying in a unique Airbnb becomes an integral part of a vacation experience itself. 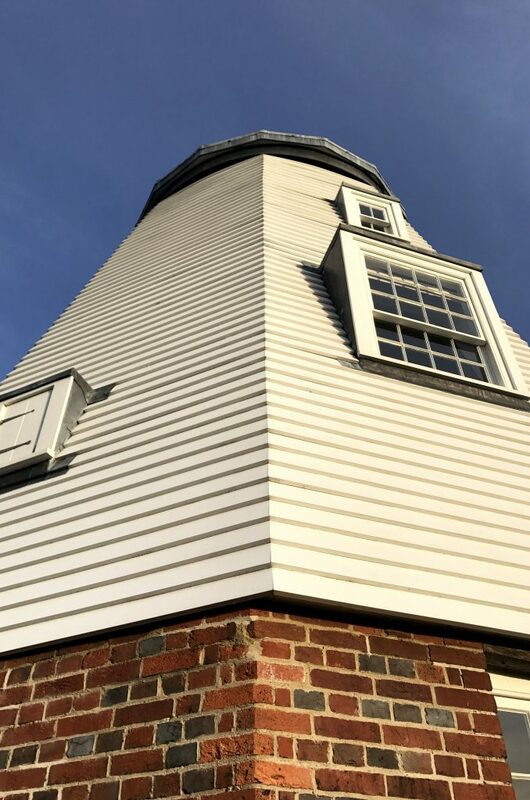 Where else can you stay in a windmill? Thanks so much for reading about our booking process! 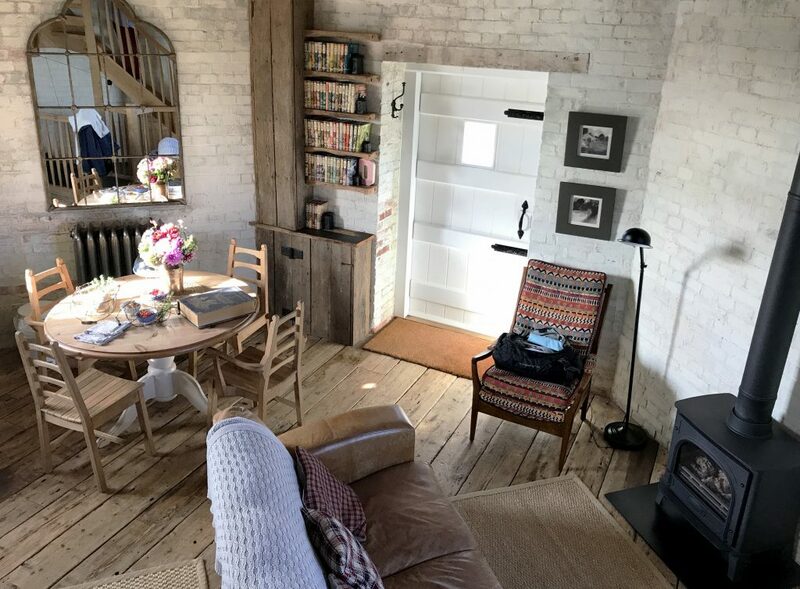 We’d love to learn about your strategies when you’re booking an Airbnb. Share your tips and tricks in the comments below!